Delete Documents and Data on iPhone: With limited storage capabilities of an iPhone, it is very useful to manage its disk space. Most of the storage space consists of images, videos, audio files, document files and apps files. To free up storage space you can Delete Documents and Data on iPhone such as media files or document files from the file explorer. But apart from this, you can also limit the number of apps installed on the phone. Follow these steps to clean the storage space in your iPhone or iPad. Step 1 – Remove all your music from the device and then re-sync it. 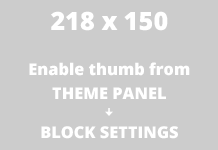 It will remove the thumbnail cache and related files. 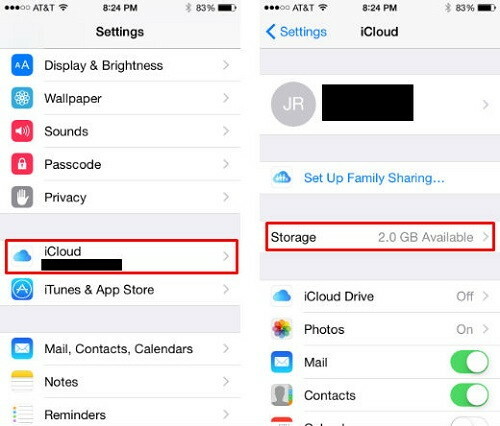 Step 2 – Limit the number of apps that can store their data on iCloud. Step 3 – Regularly delete the old emails and their attachments. Step 4 – Clear the browsing history of the browsers. Step 5 – Clean the junk files manually. Step 6 – Clear the old photos or back up them on other drives. Step 7 – Delete the old messages. Step 8 – Manage the audio files and recorded calls. Step 9 – Clean the cache of apps regularly. Step 10 – Install the apps that will clean up data of the selected apps regularly. But still, if these methods don’t free up the storage space then you should clean the documents and data of apps. If you are already aware of document and data then you already know how baffling part it can be and how much storage space it can occupy. But if you are not aware of document and data on iPhone then follow these steps to understand what is document & data. Step 1 – Navigate to settings. Step 2 – Go to general. Step 3 – Now tap on iPhone Storage. Step 4 – Now tap on any app from the list. Step 5 – On the screen, you can find Documents & Data. On the right of Document & Data, you can find the storage space occupied by the app on your iPhone or iPad. You may be shocked after knowing the space consumed by the apps. After knowing this space you might have become very eager to know how to Delete Documents and Data on iPhone. 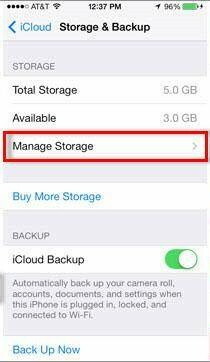 So before moving towards the Delete Documents and Data on iPhone, you should know what it actually is and why it covers up so much space. Document & Data covers up browser history, cookies, logs, caches, photos, videos, database files and even iCloud related files. Applications need to maintain these data files to store its data like login credentials. As an example take Whatsapp, its document, and data stores the login credentials, chats, contacts, media, and status. Any app needs to maintain this storage to keep the functioning of the app top notch. In most of the cases, the size of Document & Data is more than the actual size of the app. If you think that you can clear the space by simply deleting these files from file explorer then you will be quite shocked to know that you can not do that. This is because there are no files present in file explorer. 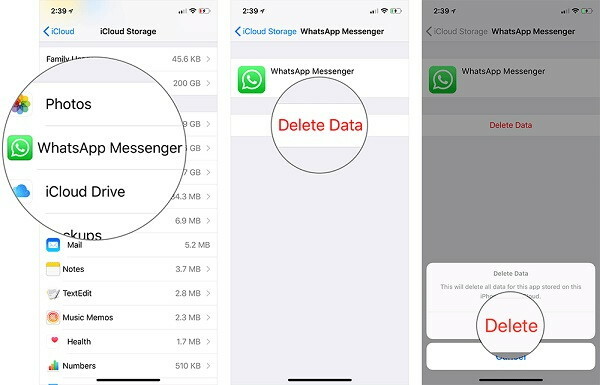 There is only one option that remains through which you can Delete Documents and Data on iPhone that is by removing the entire app and reinstalling it. Before moving towards erasing the application make sure that you have a copy of all important media files, login credentials, and more such things. Now follow these steps to Delete Documents and Data on iPhone. Step 1 – Create a restore point to have a safe side if anything goes wrong. Step 2 – Go to Settings. Step 3 – Tap on General. Step 4 – Go to iPhone Storage. Step 5 – Now select the application which from which you want to claim the space. Step 6 – After selecting the app, you will have 2 options as Offload App and Delete App. Choosing Offload App will delete the application and keep its data so that when you reinstall that application all of its data will be restored. But choosing Delete App will remove the application and its complete data. Step 7 – Tap on Delete App and confirm. Step 8 – After the application is completely removed, head to the App Store. Step 9 – Now find the app and install it. After installing the application you can check Document & Data of the app and it will be of very minimal size. In the case of many apps it remains very minimal but in the case of apps like Facebook and YouTube which stores its data as caches and increases the space. In such apps to free up space you have to remove the app then reinstall it. Step 2 – Navigate to General. Step 3 – Open your profile. 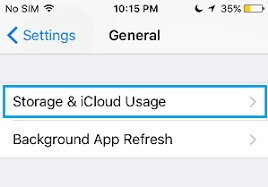 Step 4 – Tap on Storage & iCloud Usage. Step 5 – Under the iCloud section and open Manage Storage. Step 6 – Now scroll until you see the Document & Data section. Step 7 – Now tap on the app you want clear the Document & Data from. Step 8 – Tap on Edit and then Delete on iCloud. Step 9 – Once the process is finished exit Settings. Many users have a question in their mind that is there any other way round to safely Delete Documents and Data on iPhone. However, there are a few steps which will force the iOS to automatically Delete Documents and Data on iPhone. One of these methods involves using the third party applications which can force the iOS to store files when there is low storage available. But when the storage will be completely full iOS will ask the user to Delete Documents and Data on iPhone. This cleaning app will free up a good amount of space. But using this method is not recommended. Another method involves transferring or downloading a file larger than the available space. While performing such action Cleaning app in iOS will surely initiate and perform the required clean up.